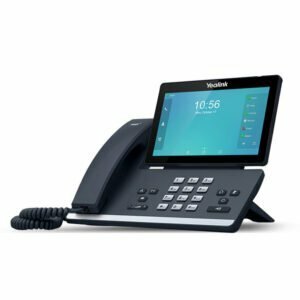 Yealink T41S-SFB is a Skype for Business certified edition of the Yealink T41S IP Phone. 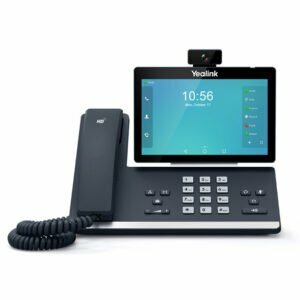 Robust and full-featured, Yealink T41S-SFB comes with Skype for Business firmware pre-installed, making integration or mass deployment of the phone with Microsoft's unified communications platform very easy. The T41S-SFB supports BToE (Better Together over Ethernet). T41S has a USB port for local recording or adding WiFi or Bluetooth support with the appropriate dongle. 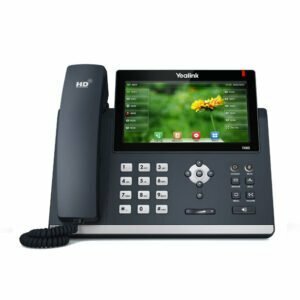 Yealink SIP-T41S-SFB is an excellent, cost-effective VoIP phone fit for basic users, common areas, call centers, customer service representatives and similar situations. 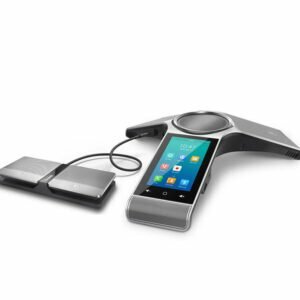 Yealink Optima HD audio via handset or full-duplex speakerphone gives you excellent wideband sound. The T41S adds support for the adaptable Opus audio codec. The phone has dual Fast Ethernet ports and is PoE compliant. The 2.7″ backlit LCD display is bright and simple to operate using contextual keys. Add a corded headset using the RJ9 headset port.